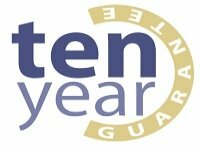 You can read about it every day in the papers or online, another home has been burgled or invaded. Not only is the immediate event traumatic & costly, it can also leave the family with lasting mental trauma. In order to lower the risk of this happening at your home, your windows and doors need to be secure. Aside from what we cover below, the #1 thing to remember is to lock your windows and doors – you would be amazed at how many intruders get in through one that is unlocked. Full glass inline sliding doors. 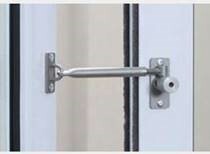 If you have a set of sliding patio doors at the rear of the property, fit some kind of dead bolt to each moving panel. This will greatly increase the difficulty of forcibly lifting the doors of the tracks to gain entry. A neat little key locking deadbolt like the one in the picture can be bought from Screwfix for under £10. If you are in the process of buying a new set of inline sliding patio doors, then look for a design with built-in anti-lifting tracks. Most French doors have no centre mullion (post) and so the doors lock to each other rather than into the surrounding frame. If they do not have multi-point locking systems built-in, then this design makes them weaker. Once again, you can fit dead bolts at the top & bottom of each of the doors. It will make a big difference. 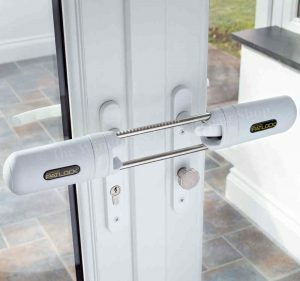 Or you could use a neat invention like the Patlock Instant French Door Security Lock. You can get a Patlock (like the one in the image) from Amazon for around £50. Security grilles fitted inside the door are not favoured by many, as they feel it spoils the look of the doors. However, they are very effective. Why not consider security films? On Amazon, £25 will get you a 750mm wide by 5m long roll of Clear Safety & Security Window Film with Anti Shatter Glass Protection. It’s apparently a little tricky to fit at first, so a good suggestion is to look up a YouTube video. Alternatively, if you have serious security concerns and a bigger budget, you could look at something like 3M products and have them fitted professionally. First thing to do is fit a good quality door chain. If you have to open the door to see who it is, then you will be relying on this chain to stop an intruder from pushing their way in. If you have a solid door, fit a spyhole. Best to see who is outside before you open the door. 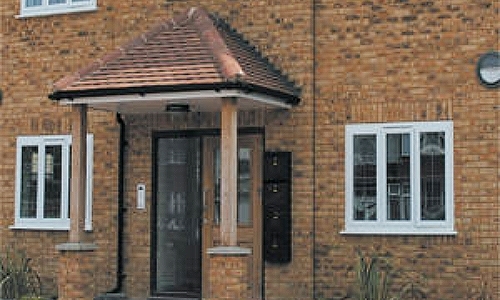 Many modern UPVC or Composite doors are inherently strong with multi-point locks & safety glass. Aluminium products are also very secure, it could be time to change to one. Have a dead bolt (or 2) as well as a 3 or 5 lever mortise lock. Have 3 or more sets of hinges. Make sure the fixing screws are long. Some determined intruders will forcibly attack the hinge side instead of the lock side. Fit good quality locking handles. Some cheap double glazed windows come with flimsy handles. Check yours. If you have to have the window open, fit & use a night latch. Some modern windows have this setting built-in. Don’t think the window is too small for someone to climb through when its open, again you would be surprised by how small an opening a burglar will force themselves through. A night latch like the one in the image is a little pricey for what it is at around £45. However, if it does the job and keeps you & your family safer, then It’s worth the money. Once again, security grills are the “nuclear option”, with security films being a very good “low cost” preventative measure. Window films can serve a 2nd purpose. A lot of good quality products give some energy savings benefits. Tinted films can stop your furnishings from fading under direct sunlight. 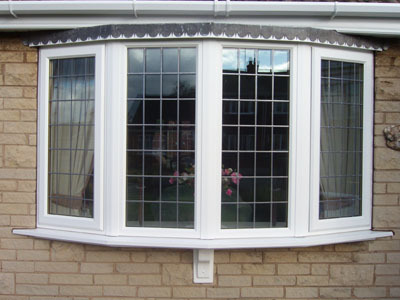 If you are in the market for something like double glazed UPVC windows, look for products that offer multi-point locks. It’s a shame that a sign of the times is that we have to be so security minded on a daily basis. 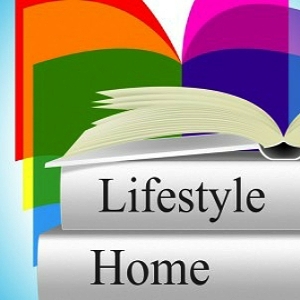 But there are a few little things that can offer overall security improvements to your home. Keep keys away from locks – never heard of a burglar grabbing the keys through a letter box? Ladders – keep them locked up. A lot of people keep a bedroom window open thinking it’s unreachable, it’s not. Grow thorny bushes under the windows outside. It could dissuade a would be burglar, it makes it more difficult (and possible painful) to reach the window. Close your curtains or blinds when you go out or go to bed. That way no attractive items are on view. Lights – burglars like peace & quiet and darkness to do their dirty deeds. You can get motion activated lights. £25 will get you quite powerful lights from Amazon. Lights on timers in the house. 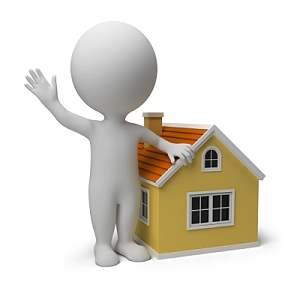 If the lights go on and off at odd intervals, burglars can’t be sure the place is empty. Contact alarms. Fitted to the windows and doors will let you know if they are opened. Not a full home security system, but can make a lot of noise at 110dB (equivalent to being 300 feet away from a jet airplane taking off). Amazon have a simple type for around £30. One of the best all-round solutions is to fit modern double glazed windows & doors. Many feature multi-point locks as standard. Large patio doors will have toughened glass for added safety & security. UPVC frames have metal reinforcing. Aluminium windows & doors, being metal, are inherently strong and secure. 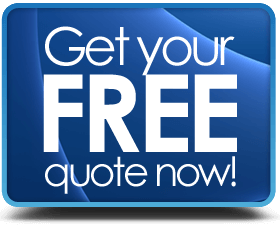 Prices for UPVC doors or windows are relatively affordable and may even cost less than you think.